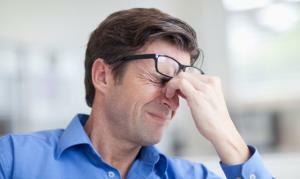 Migraines are a common cause of headache and dizziness. However, there are other serious conditions that can cause headaches and dizziness, including low blood pressure and hypoglycemia. You should consult with a healthcare provider if you experience extreme or constant head pain and nausea. Headaches can result from a variety of conditions, including stress, hunger, and caffeine withdrawal. When headaches are accompanied by dizziness, there may be an underlying condition that should be addressed by a medical professional. Migraines. Migraine headaches cause a severe throbbing in a concentrated area of the head and are sometimes accompanied by dizziness, nausea, vomiting, and sensitivity to light and sound. Traumatic brain injury. A fall or an injury to the head can cause dizziness along with migraine headaches. These symptoms may also be accompanied by fatigue. If you hit your head and experience any dizziness or headache, seek medical attention immediately. Low blood pressure. Chronic or acute low blood pressure can cause dizziness and headaches along with nausea, fatigue, thirst, and breathing that is rapid and shallow. Low blood pressure could be a sign of a more dangerous underlying condition, so it is important to consult a medical professional if you experience these symptoms. Low blood sugar, or hypoglycemia. Hypoglycemiacan cause dizziness and headaches, usually several hours after eating. Low blood sugar may be accompanied by hunger, sweating, and trembling. Pregnancy. The dramatic hormonal changes that occur during pregnancy can cause headaches and dizziness. If you are a woman and are experiencing additional symptoms such as fatigue or a change in your menstrual cycle, you may want to speak with a medical professional. Finding the cause of your dizziness and headaches is the first step to pursuing the right treatment. If symptoms result from an underlying condition such as diabetes or low blood pressure, accurately diagnosing and treating these conditions should help alleviate related symptoms. If you suffer from frequent or severe dizziness and headaches, you should consult a medical professional to find the cause of these symptoms and get the relief you need. The medical professionals at FastMed Urgent Care will provide the caring, fast, and affordable care you need when your dizziness and headaches become a concern. Our goal is to get you seen and back out on your way in under an hour. We also have on-site diagnostic equipment, so we will hopefully get to the bottom of your symptoms and find the treatment you need. Our convenient extended weekday hours make it easy to stop by after work, and our weekend hours provide you with an affordable option when primary care physician offices may be closed. 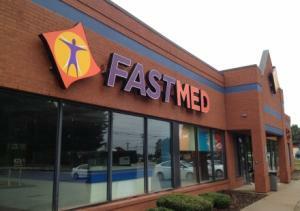 Like us on Facebook to learn more about FastMed Urgent Care in your community, and contact us to learn more about how we can help relieve your dizziness and headaches!